Talamone: a travel guide to the village of Talamone, hotels, farm holidays, holiday rental homes, real estate, campsites, accommodation, diving, beach, photo gallery. 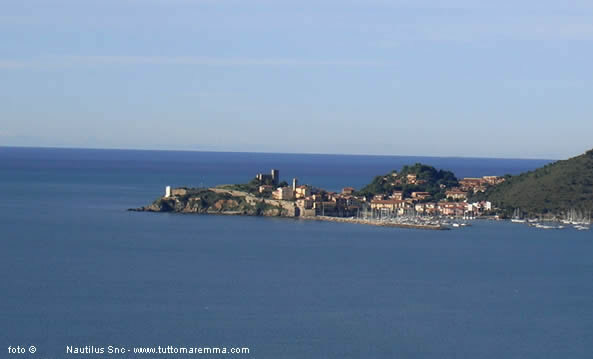 Talamone is located on a small promontory and around it you can find nice sandy bays. On the northern side the seabed is rocky and perfect for snorkeling. The beach below the ancient walled fortress is a little gem of a place, you can park your car and walks down along a tiny lane arriving to the famous equipped beach “Bagno delle donne”. A completely different place is the beach along the access road to Talamone (in front of Talamone bay), that is loved by sailors, surfers and kite-surfers.